My art tries to be a visual equivalent of what music is in the field of audition. I reject every concept that doesn’t reflects in a material and visual reality. For the last 8 years I devellop an approach centered around « light and color », that is based on a scientific methodology, on computer programming, on physics and on color theory. For me, the technique and the conceptual quality are two sides of the same problem. Like a painter my tools are brushes, pigments, paints, paper or colored glass but also lamps, scientific instruments and equations. I wish to create a work that blurs existing categories such as « art », « science », « invention ». I defend the idea that scientific knowledge is free from the individuals that create it and from the institutions that fund it: scientific knowledge can be used and practiced by anybody that understands it including outside of the academia and of the industry. 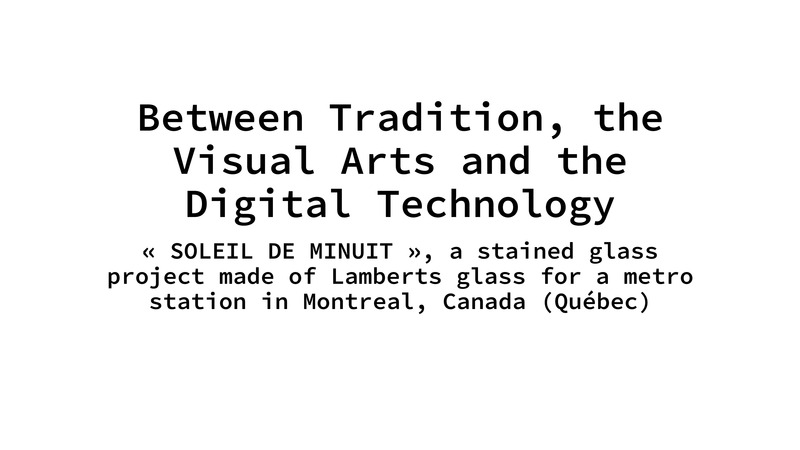 In 2015 I proposed a large-scale stained glass project in the frame of a competition involving an exchange of artworks between the cities of Brussels, BE, and Montreal, CA, and won. I am currently working on the production of the artwork with the studio Debongnie in Belgium. 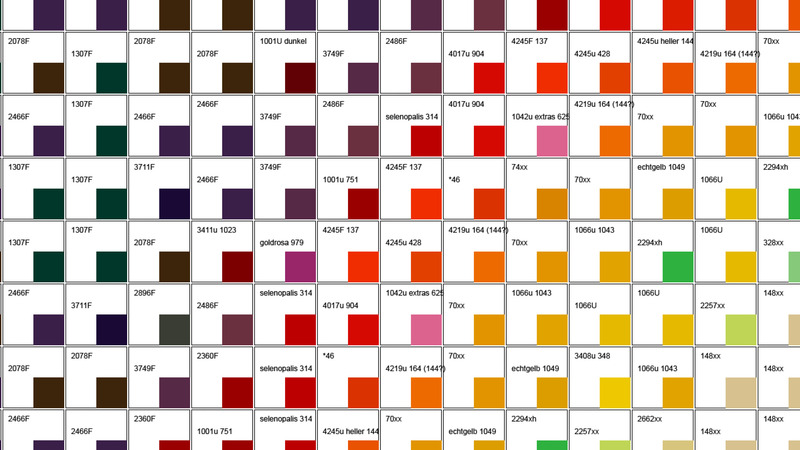 The project consists of 14 stained glass pannels for a total of +-50 m². 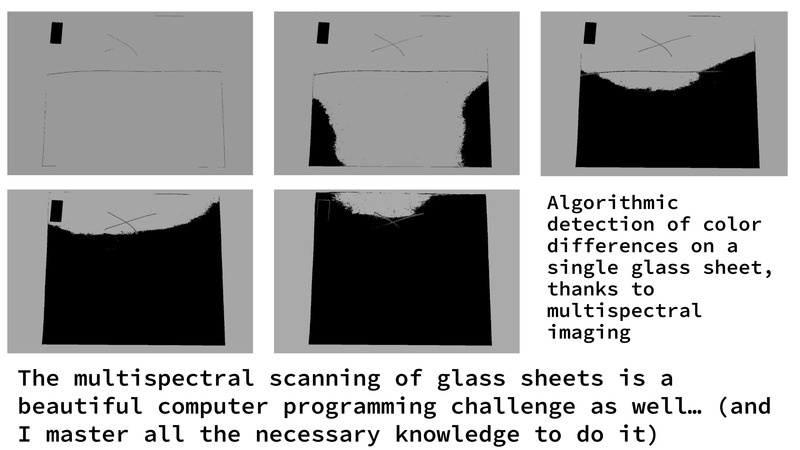 It has been completely designed by a computer algorithm. 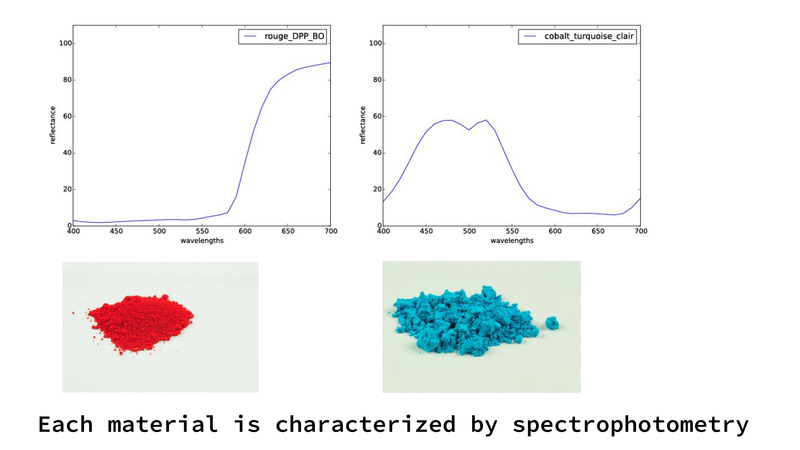 The software uses a spectral-colorimetric database of 350 different Lamberts glass samples measured in the factory with a spectrophotometer in the summer of 2015. 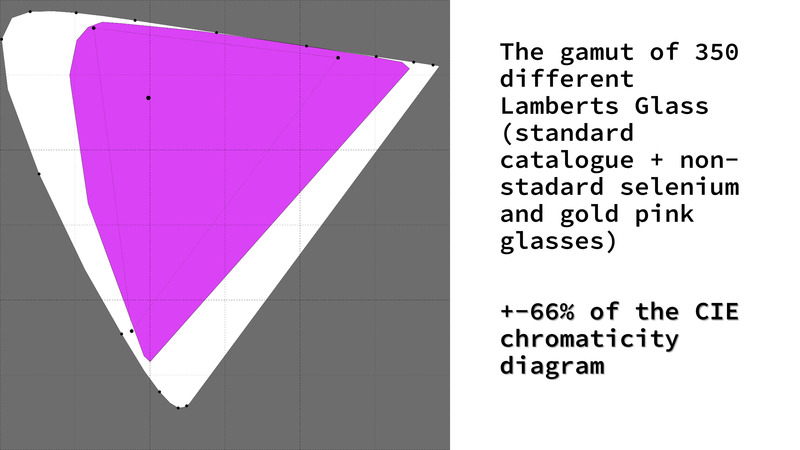 I learned a lot about stained glass and about Lamberts during this work, and I’ll conclude this presentation with a critique of my own approach based on what I’d like to change in my way of working with glass when I’ll have a chance to do it again.